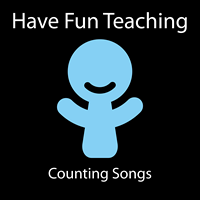 The Counting By Tens Song from Have Fun Teaching will have your kids on the ground, moving around, and learning how to skip count by tens. This is a math counting song for kids that will help them learn how to count by 10s. Description: Math song that teaches counting by ten to one hundred. This song will teach students how to count by tens from 10 to 100. This is a song for learning how to skip count by 10s.